South Baltimore’s underdeveloped waterfront neighborhood, Port Covington, will officially become a sprawling new development with 3 million square feet of space surrounding Under Armour’s global headquarters. 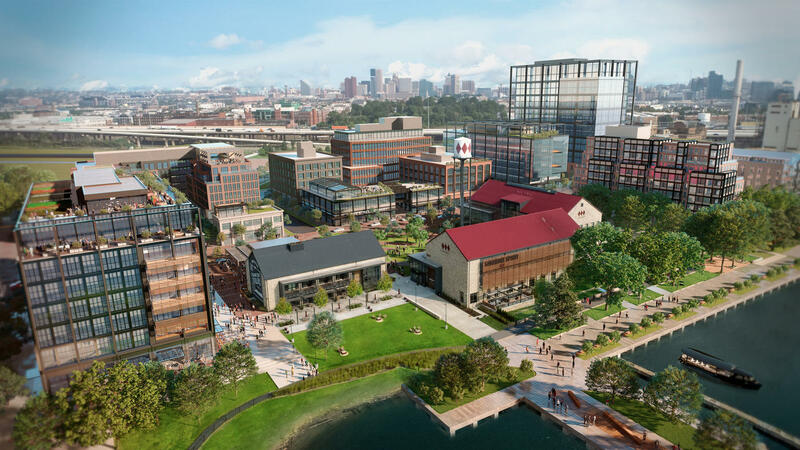 According to The Baltimore Sun, over the next three years the long-time owner of the site, Weller Development, will build out one-third of the planned apartments, offices, and retail space for the 260-acre peninsula. 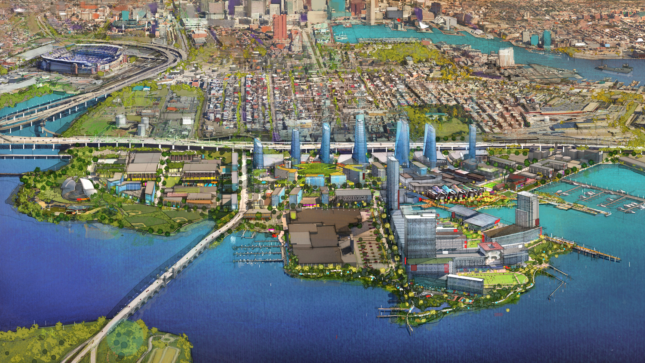 The development is the 25-year-old vision of Under Armour’s founder and CEO Kevin Plank, who also owns Sagamore Development, which is backing the project. Part of the $5.5-billion plan will include a 50-acre expansion to the brand’s current campus, which sits along the Patapsco River adjacent to the Sagamore Spirit Distillery, the Rye Street Tavern, and The Sun’s facilities. The entire neighborhood will take over two decades to construct and is meant to also exist as a hub for tech innovation and start-up businesses, according to Curbed. Over 10,000 Under Armour employees will commute there once complete and Plank hopes to also attract the creative and engineering communities to live, work, and play. Phase 1 construction includes outfitting the neighborhood with 12 new buildings featuring office space, room for retail, and 1.34 million square feet of residential. A 156,000-square-foot hotel will also rise on the site. Forty acres of new parks and 2.5 miles of restored waterfront will buffer the community, and a new light-rail station will link it to the surrounding enclaves. The City of Baltimore will help develop the needed infrastructure within the neighborhood through a $600-million-dollar Tax Increment Financing deal approved in 2016. This “city within a city” is expected to break ground next year with the three-story market hall proposed for the complex. So far, there’s been no announcement as to which architectural firms have joined the project, though Sagamore Development has released initial designs.